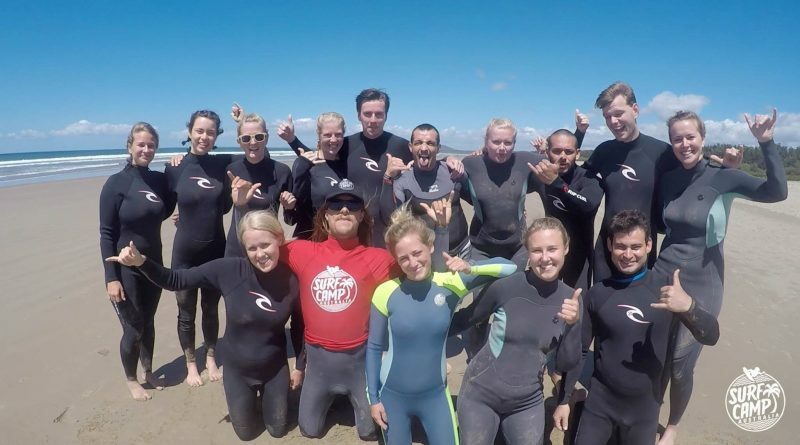 After a long week of hard work it was finally time to get out of the city and relax at surfcamp. We heard this weekend had a special Dutch theme and that there would be a lot of Dutchies. The bus drive there was filled with stories about all the different nationalities and what their plans would be after surfcamp. The 2 hours went by very quick, when we got to 7-mile beach in Gerroa we were greeted by the staff members. They explained us the house rules and they introduced us to the kitchen staff and instructors. After the orientation we got to pick our cabin mates for the weekend, drop our luggage and we got to explore the camp grounds. On Saturday we had to get up bright and early because we were group 1. After getting our energy level up with a lovely breakfast (they even had Dutch breakfast items like ‘hagelslag’) we were ready to get our wetties and sunscreen on to go to the beach. 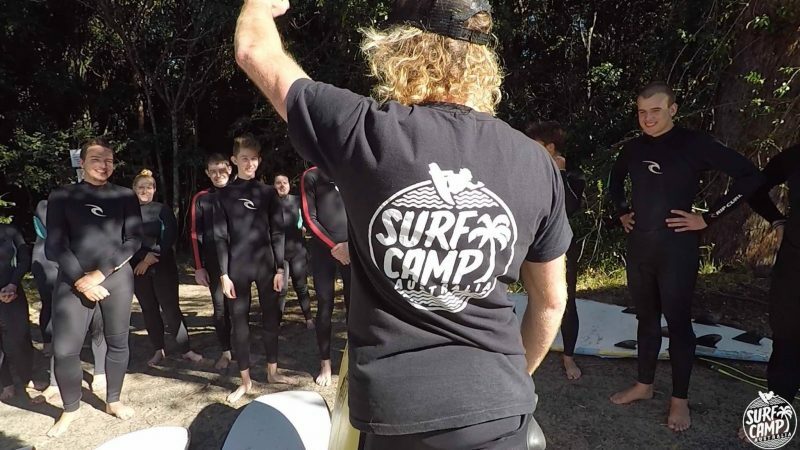 In the first lesson we learned about the surfboards, how to stand up and what good conditions are to go surfing. With my lack of balance even on dry land, I wasn’t too sure on how it would go on a surfboard on water. 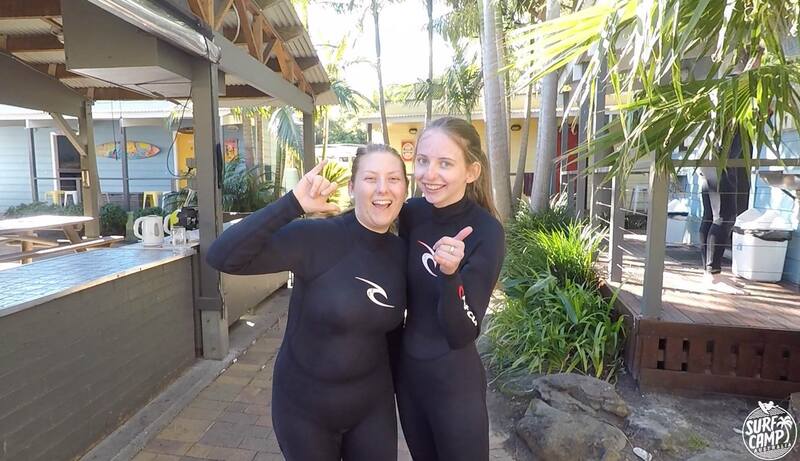 After some nose dives, 3 litres of water that I swallowed and some help from the instructors I was able to catch my first wave. It truly did feel magical. 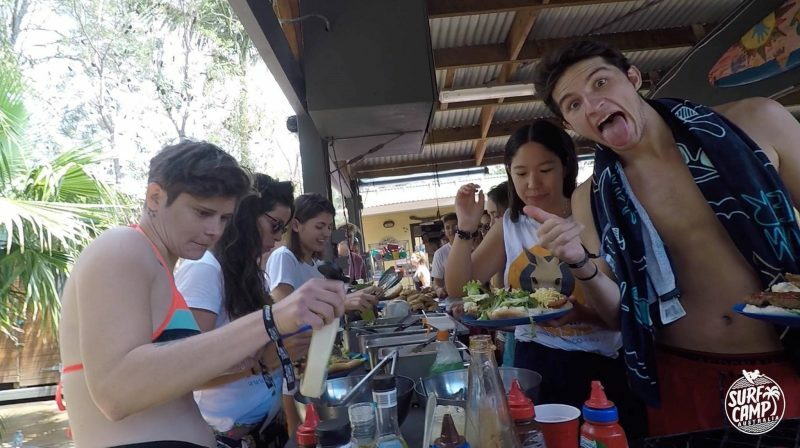 With everyone being excited about their first surf lesson even if they weren’t able to stand up, we were ready for some food. As we Dutchies would say ‘I could eat like a horse’. If I’m honest this was the best food I had since I left The Netherlands, with our new found energy we were ready to catch some more waves. 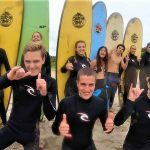 In the second lesson we learned about the ideal weather conditions (wind, waves and tide) in which you are able to surf safely. They told us that you have to look at it like a checklist, if you are able to check 1 off then you are able to surf. This checklist is one I’ll definitely use more often when I go surfing on my own. This lesson we got some one-on-one help from the instructor and they made pictures and videos of everyone standing. After this lesson most people got the hang of it and were able to stand up. When we got back we all got a well-deserved hot shower, chilled and had a delicious dinner together. At 8 pm the pictures that were made that day were shown on the television screen. Everyone was very excited to see themselves surfing (to show as proof to your friends and family of course). When all the pictures were shown we were ready for some dancing, drinking and having fun at the pub with our new friends for life. Sunday morning started a bit sad because this was our last day at Surfcamp. Even though it was our last day we made the best of it. After breakfast we got in our cold wetsuits for the last time and headed to the beach. 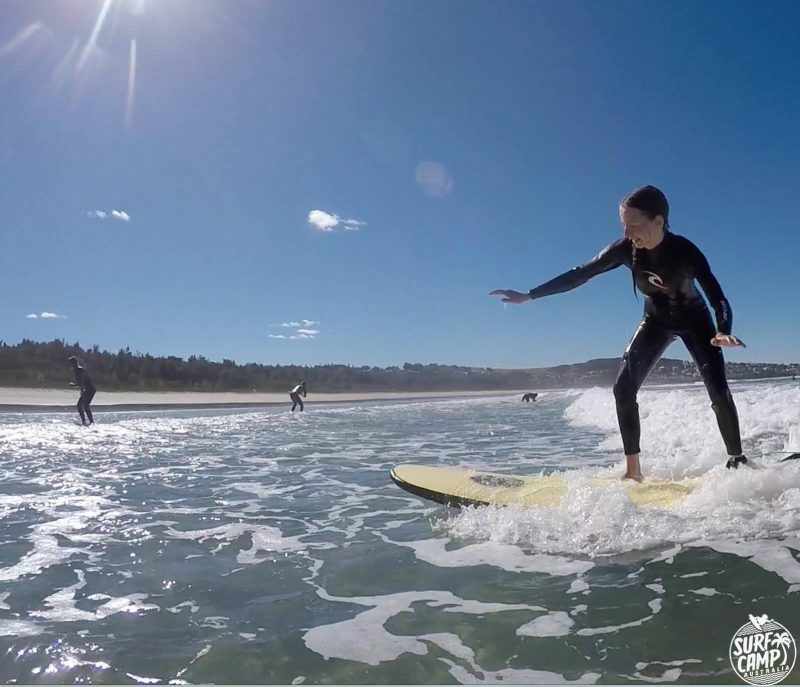 The instructors told us what the best places are for us to go surfing on our own and what kind of boards to use. This was a weekend full of awesome stories, new friends, great memories and a lot of fun! 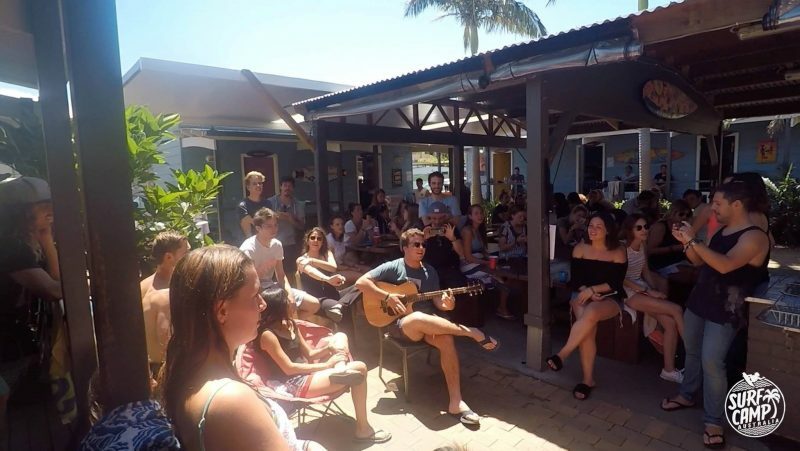 Surfcamp Australia is definitely something I would recommend to all the backpackers and students in Australia.